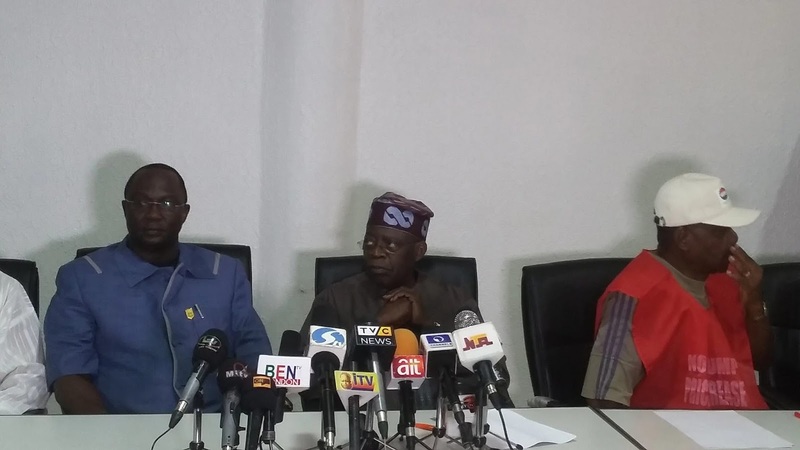 The National Leader of the All Progressives Congress, Asiwaju Bola Tinubu, has called on the leadership of the Nigeria Labour Congress to call off the ongoing strike over the increase in fuel pump price from N86 and N86.50k to N145. The former Lagos State Governor pleaded with the President of the NLC, Ayuba Wabba, and other leaders of the congress to return to the negotiation table with the Federal Government to resolve the current industrial dispute. Tinubu who was in company with the Osun State governor, Rauf Aregbesola, Senators Marafa, Humkunyi Suleiman and others said his mission to the Labour House was to let peace reign. 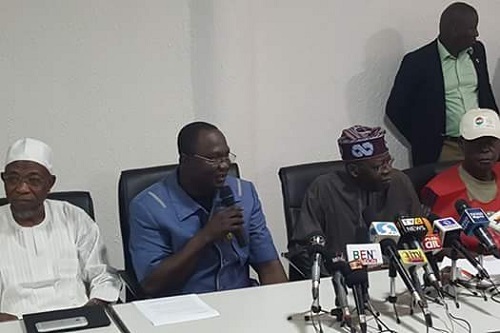 Labour leaders present at the meeting were Wabba, the Deputy Presidents of the Congress, Peters Adeyemi, Nojeem Yarsin, the Chairman of the Labour and Civil Society Coalition, Prof. Dipo Fashina, a former Vice President of the congress, Isah Aremu and others.